Manchac Lake offers something for everyone. See our available amenities to find something that speaks to you. 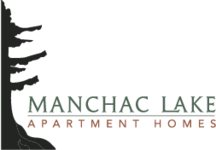 Get a sneak peak of the good life here at Manchac Lake. Each of our residents enjoy amenities year-round. Pet Policy: Manchac Lake Welcomes your Furry companions with an on-site Bark Park and pet stations throughout the community. We welcome 2 pets per apartment home. Breed restrictions may apply. Pet Fee: $350 for 1 pet or $500 for 2 pets. Monthly Pet Rent: $10 per pet.